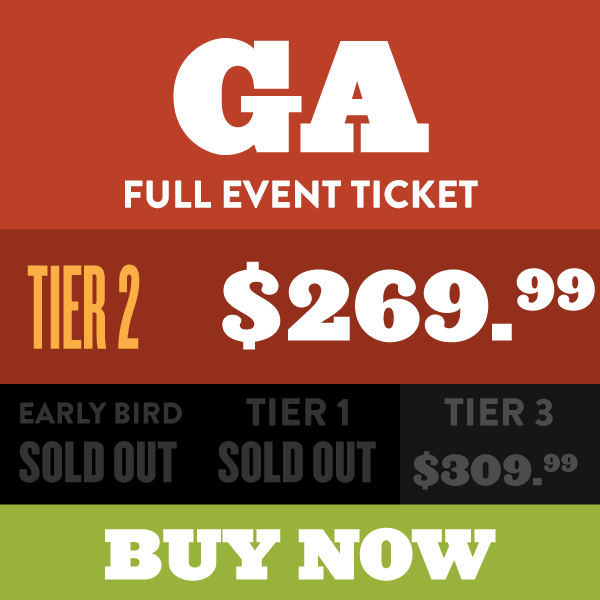 This ticket is a General Admission Full Event pass that allows basic entry into the festival for the entire event. Prices do not include HST and service fees. Children 12 & under are free when accompanied by an adult with a General Admission Full Event pass. Age verification will be required. Children will receive a wristband upon arrival. Your wristband will be mailed to you 2-3 weeks prior to the festival. Tickets purchased after July 2 2019 are to be picked up at will call. Purchasers must provide photo ID matching the name on the confirmation. 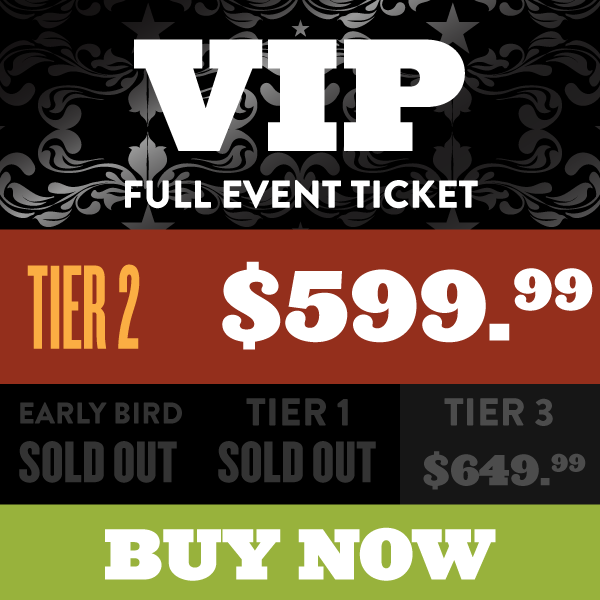 The VIP Full Event pass gives you access to the best features of the Boots and Hearts entertainment experience for the entire weekend. Wristbands will be mailed to you 2 – 3 weeks prior to the festival. Tickets purchased after July 2 2019 are to be picked up at will call. Purchasers must provide photo ID matching the name on the confirmation. 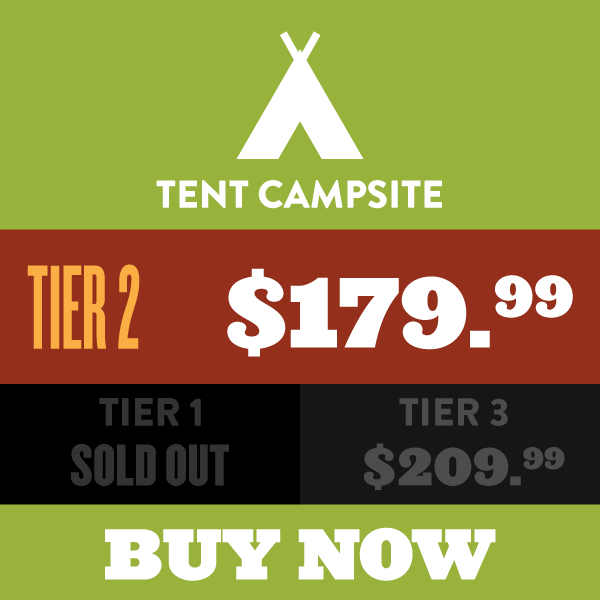 If you enjoy group camping and a good time, this is the perfect pass for you. REMINDER: This pass does NOT provide admission. It permits maximum one (1) vehicle to claim a campsite. It is not mandatory to park a vehicle on the site. Sites are assigned upon arrival. If you wish to camp beside another vehicle, you MUST arrive together (no saving spots). 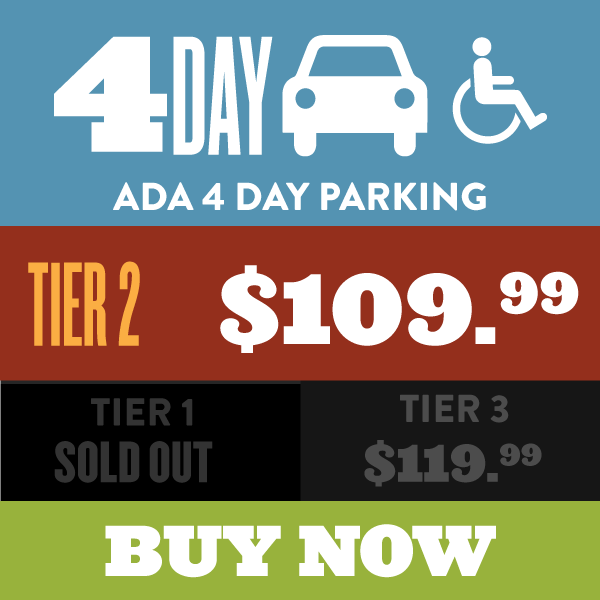 Price is per-site (not per-person). Space for One (1) normal-size car* on site. *A normal-size car is defined as anything smaller than a 12-passenger van. Only lightweight passenger vehicles, including pickup trucks and SUVs will be permitted in camping areas. Your camping credential will be mailed to you prior to the festival. Tickets purchased after July 2 2019 are to be picked up at will call. Purchasers must provide photo ID matching the name on the confirmation. 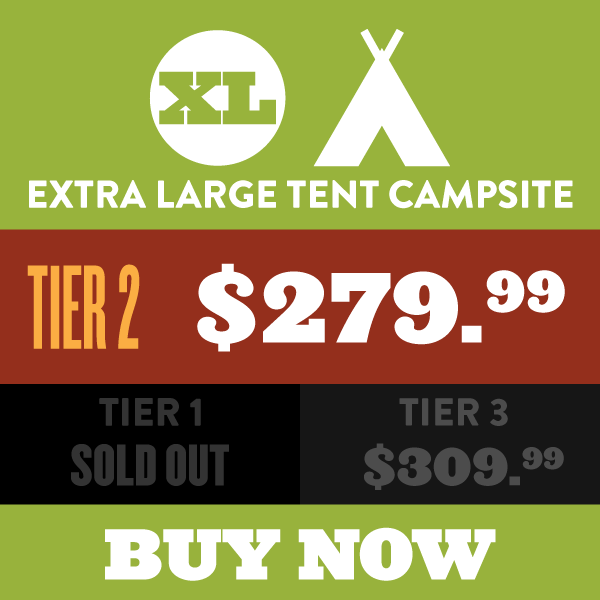 The biggest non-reserved tent sites available – over 200 more sq. ft than a Regular Campsite! Also, closest to the main gates. REMINDER: This pass does NOT provide admission. It permits maximum one (1) vehicle to claim a campsite. Want to secure your spot right next to your friends? 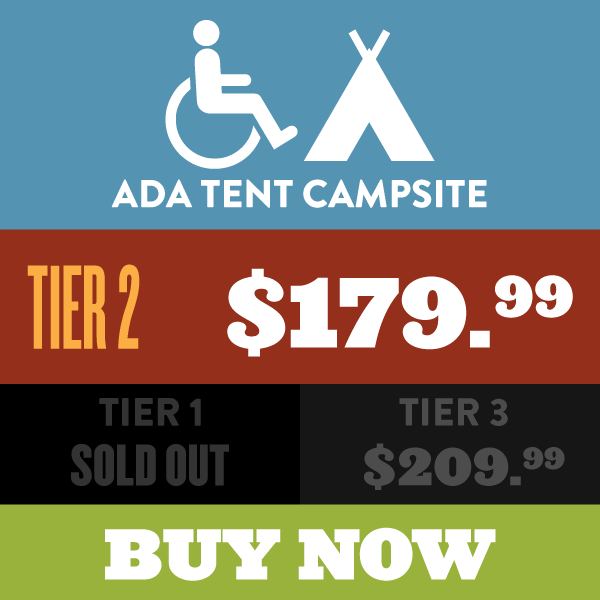 Our new RESERVED TENT CAMPING spots are the solution. The biggest tent site there is, with almost 400 more square feet than Extra Large Camping! REMINDER: This pass does NOT provide admission. It permits maximum two (2) vehicle to claim a campsite. It is not mandatory to park a vehicle on the site. You must stay in your chosen/assigned site. No changing after purchase. Maximum 12 people per site. Space for Two (2) normal-size car* on site. An RV campsite is the life of the party! But these RV campsites do NOT have Hydro. REMINDER: This pass does NOT provide admission. It permits one (1) vehicle to claim an RV campsite. If your RV exceeds 50′, you must purchase 2 spots. If you do not and your RV exceeds 50’, you may be denied entry onto the grounds. Site includes space for One (1) steering wheel* on site. One (1) “A, B or C” class motorhome, truck bed camper, etc. Your camping credential will be mailed to you prior to the festival. Tickets purchased after July 2 2019 are to be picked up at will call. Purchasers must provide photo ID matching the name on the confirmation. RV Sites do not include power or other hookups. Tickets purchased after July 2 2019 are to be picked up at will call. Purchasers must provide photo ID matching the name on the confirmation. 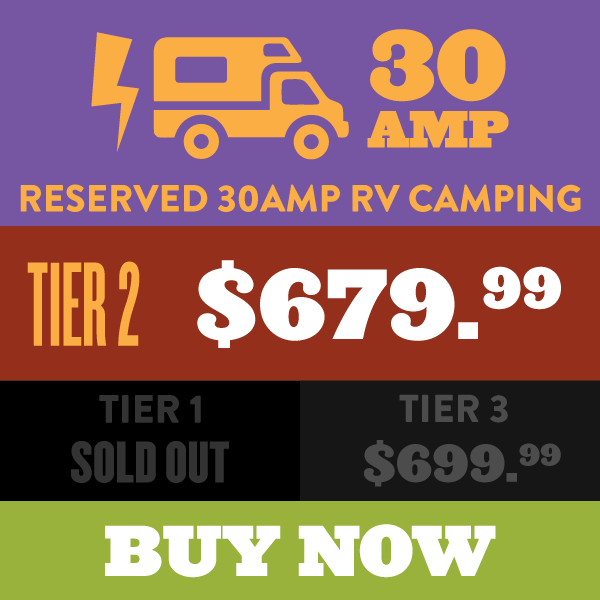 Reserved RV site with 30 AMP service. Hydro service will begin on Thursday. Please note that 30 AMP and 50 AMP are in separate locations. If you wish to camp beside a specific group, you must have the same Hydro service (30 or 50). REMINDER: This pass does NOT provide admission. It permits one (1) vehicle to claim a 30A Hydro RV campsite. 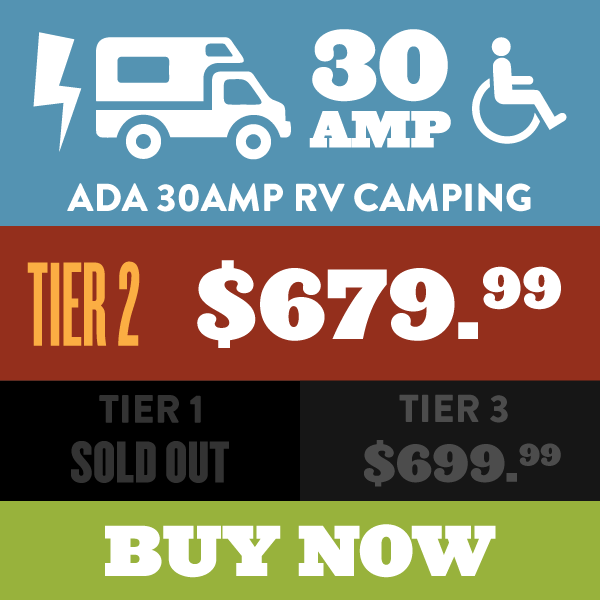 This pass includes an RV campsite WITH 30 AMP Hydro. 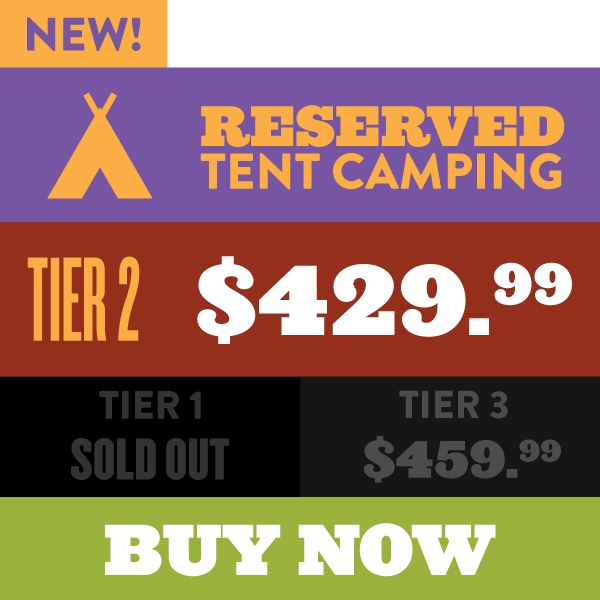 Your camping credential will be mailed to you 2-3 weeks prior to the festival. Tickets purchased after July 2 2019 are to be picked up at will call. Purchasers must provide photo ID matching the name on the confirmation. 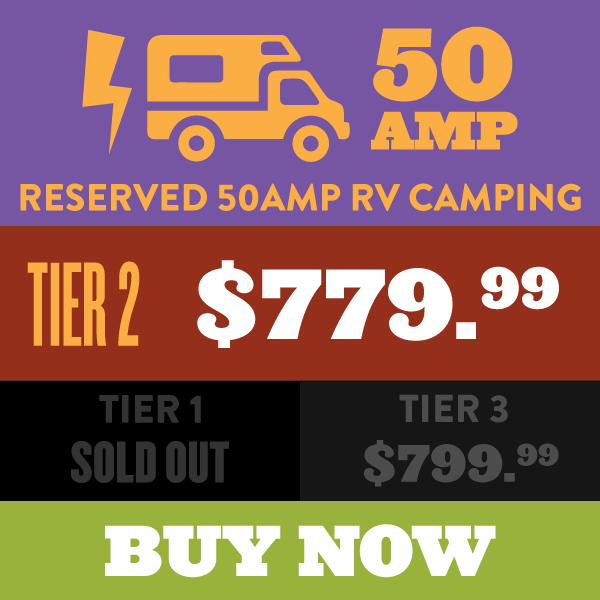 Reserved RV site with 50 AMP service. Hydro service will begin on Thursday. This pass includes an RV campsite WITH 50 AMP Hydro. ***In the event that a Hydro RV user overloads their 50 AMP power source and “pops” their breaker, the power company will reset the breaker ONE (1) time and provide a warning. If the breaker pops a second time, the RV causing the issue will be disconnected from the power grid for the remainder of the event, without a refund. Live close by and want to drive in each day? Parking is available! Please note, the walk is approximately 1.5-2km to the entertainment gates. Shuttles will not be provided. Parking will open on Thursday from 3 PM. Hours from Friday-Sunday are 11AM – 3 AM daily. 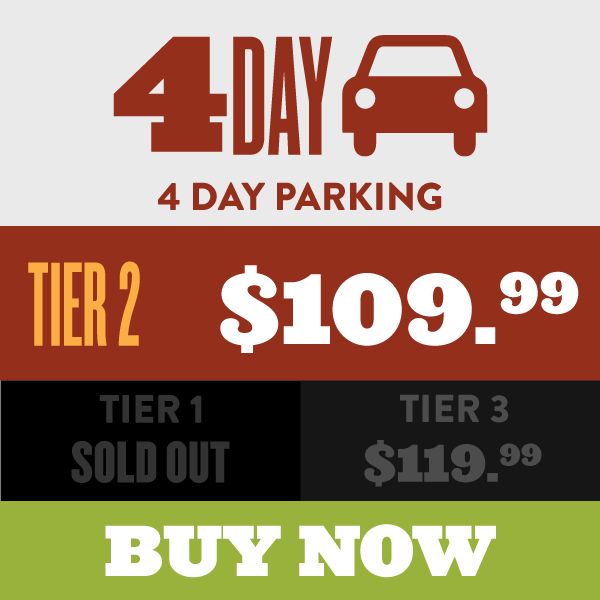 Parking passes should be purchased in advance, as quantities are limited. For safety reasons, tailgating in the parking area will NOT be permitted. This pass is not a camping pass. 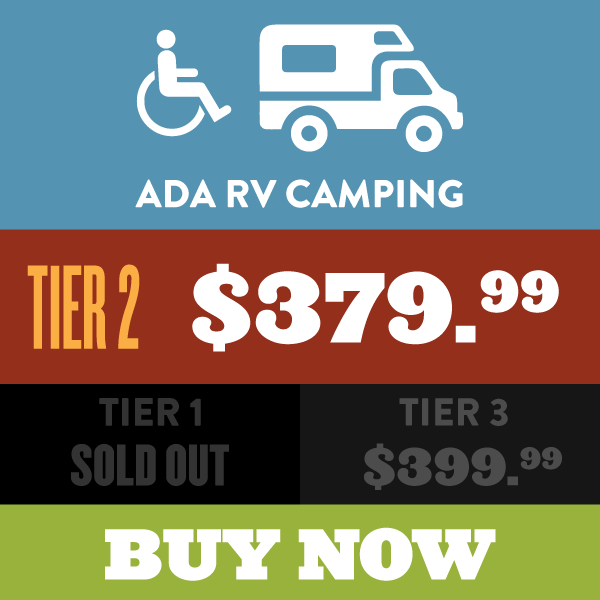 Should you wish to camp on-site you can purchase tent or RV camping. Sites are assigned upon arrival (first come, first park). Tickets purchased after July 2 2019 are to be picked up at will call. Purchasers must provide photo ID matching the name on the confirmation.